Simon Says: Stop It! Justify Is Not Going to Win the Kentucky Derby! Justify (photo by Jim Safford). I’ve heard all the hyperbole. 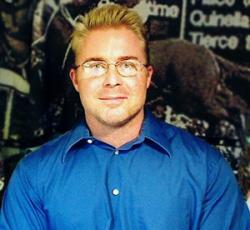 I’ve seen all the comparisons to great Kentucky Derby champions of the past. But I’m here to tell you that Justify will not win the 2018 Kentucky Derby — or at least he shouldn’t be a short price to do so. The fact that the Bob Baffert-trained colt closed at 6.2-1 in the latest Kentucky Derby Future Wager is mind blowing. And it’s not only that Justify would be the first horse since Apollo in 1882 to win the Run for the Roses without starting as a two-year-old, it’s that he presently has zero Kentucky Derby points — and it’s March already. 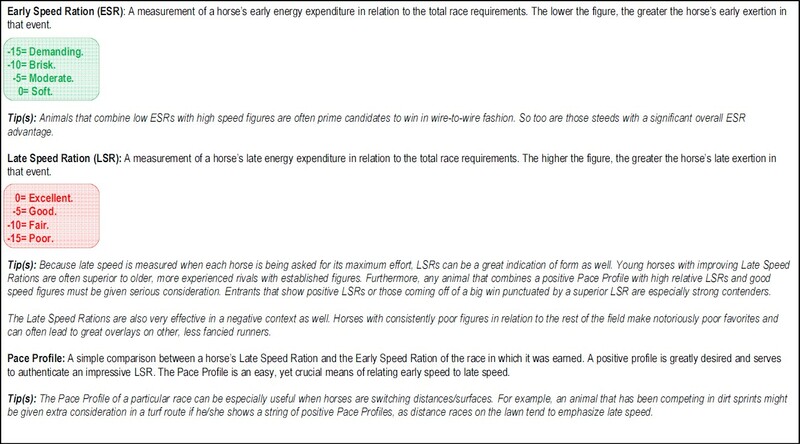 Also, while he’s clearly fast, it’s not like his speed figures tower over the competition, like Big Brown’s did when he won the roses in 2008. In fact, Justify’s 104 Brisnet speed figure in his last race is inferior to the top figure recorded by three other Kentucky Derby contenders, mainly Audible (105 in the Holy Bull), Bolt D’Oro (105 in the FrontRunner Stakes as a juvenile) and Good Magic (105 in the Breeders’ Cup Juvenile, also as a 2-year-old). What’s more, both McKinzie, who earned a 104 BSF in the Sham, and Promises Fulfilled, who garnered a 104 in the Fountain of Youth, have matched Justify’s Brisnet number. The difference is all of those aforementioned horses have earned Kentucky Derby points and, if the race were run tomorrow, only Audible, who is tied with Greyvitos at no. 20, would be questionable to make the starting gate on the first Saturday in May. Of course, I understand the counter argument: But Derek, Justify is something special and all he needs to do is win — or probably even place — in one of the final 170-point races to get into the Big Dance. OK, and you’re going to tell me that 6-1 odds on a horse that needs to win or place in a Grade I race just to have the opportunity to visit the Kentucky Derby winner’s circle is a fair price? Come on! I think I have a better chance of remembering the words to “12 Days of Christmas” next holiday season, which, if you know my track record, isn’t saying much. As for how Justify compares to other recent Kentucky Derby champs? Not that well, actually. Right now, Baffert’s stable star uses the bulk of his energy early, which — surprise, surprise — is typical of young, inexperienced horses. Look at the careers of the great ones and what you find is that the ability to ration speed is a learned behavior that comes with time. Spectacular Bid went wire-to-wire in seven of his first 15 starts; he wired just one of his remaining 15 (not counting his walkover win in the Woodward, the final race of his career). This is not to say that Justify can’t also learn how to better apportion his speed — the problem is he doesn’t have a lot of time. The Kentucky Derby is now just 50 days away! Starting in about two weeks, the real Kentucky Derby preps begin — the 170-point affairs that not only assure the winners a spot in the Churchill Downs starting gate on the first Saturday in May, but also serve (in most cases) as the horses’ final tune-up. Yet, over the years, some of those prep races have been — what is the word I’m looking for? — oh yeah, atrocious. Take, for example, the Blue Grass Stakes, which is slated to be run on April 7. Since 1997, horses making their final pre-Derby starts in the annual Keeneland feature are 1-for-81 in the Run for the Roses — and zip-for-52 when the race has been run on real dirt, as will be the case again this year. Worse (or better, depending on one’s perspective), the Blue Grass has produced more Derby starters (18) over the past five years than any other final prep race. Another prep race that has been worse than woeful is the Louisiana Derby, which has never seen a Kentucky Derby champ use it as a final prep, although three LA Derby entrants did go on to win in Louisville after making their final prep elsewhere, including Funny Cide (2003) Grindstone (1996) and Black Magic (1924). How Good Is Promises Fulfilled? 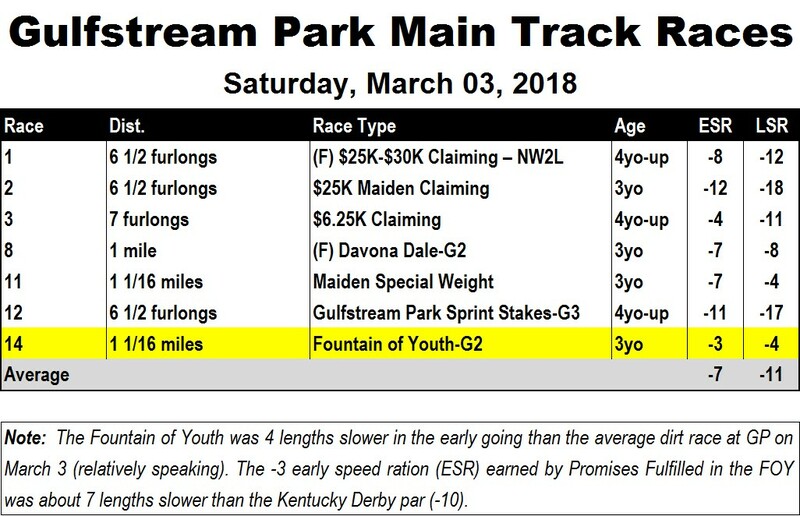 I have long lamented that the days of the “jock with the clock” in his/her head is a thing of the past and nowhere was that more evident than in the Fountain of Youth Stakes at Gulfstream Park on March 3. Give trainer Dale Romans all the credit in the world — it was his idea to send eventual winner Promises Fulfilled right to the front — but how in the world do the connections of Strike Power, who was stretching out from seven furlongs, let him (Promises Fulfilled, not Romans) waltz through an opening half-mile in 48.39 seconds? I know Joel Rosario got criticized for his ride aboard Storm Runner, but he appeared to be the only rider that even sniffed the ridiculously slow pace when he tried to squeeze through a non-existent opening on the rail, only to get rebuffed — twice. As for what this race says about the Kentucky Derby picture in Florida? I fear it says very little. Promises Fulfilled did show some nice pep down the lane — the -4 late speed ration he earned was tied for the best of the day on what seemed to be a tiring GP main track — but he still has to prove that he can handle Kentucky Derby splits or come from off the pace. Because, right now, I wouldn’t bet him with monopoly money if he’s in the starting gate on the first Saturday in May. And Good Magic, last year’s juvenile champ? Frankly, he got his preferred trip and he simply had no answer down the lane. Trainer Chad Brown said he got tired and it was his first start of the year, but it didn’t exactly get the pulse racing, did it?